Do Anti-Drug films in Hollywood Help or Hinder the Fight? Do Anti-Drug Hollywood Movies Have a Positive Impact on Addiction or Promote It? Every year, Hollywood produces films about drugs and addiction that purport to show the reality of addiction in an essential and powerful light. You would think that such a concentrated effort to combat opioids, heroin, benzos, Xanax, and alcohol dependency would have a positive effect on the rates of drug use spreading throughout the nation. Unfortunately, statistics don’t support that idea. 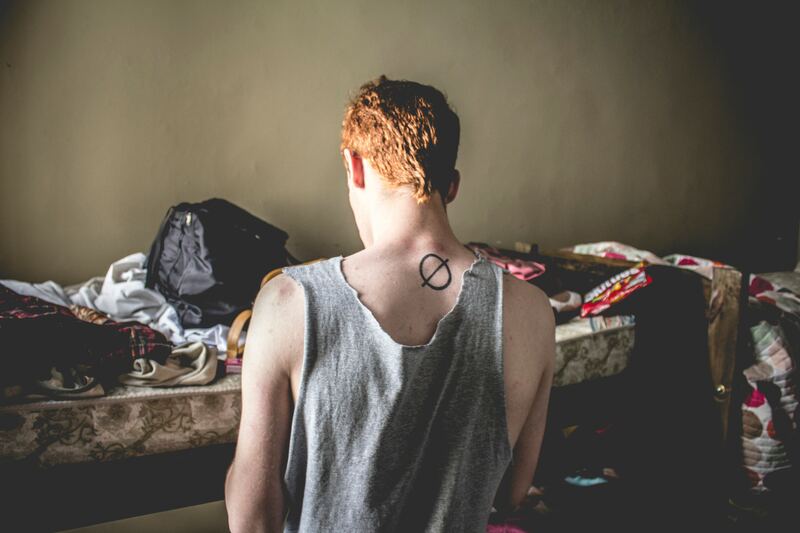 In fact, levels of anxiety, depression, and dependency have skyrocketed over the years, even when films like “Beautiful Boy” – a very recent anti-methamphetamine movie – showcase just how devastating drug use is on a person’s body, mind, and soul. Just what is happening here? Could it be that these addiction movies are not having a positive effect but a negative one on the drug culture? The unfortunate truth may be that these methods are not providing the type of effective treatment and recovery method supplied by 12 step and dual-diagnosis programs. Let’s examine the effect that movies – mostly anti-drug films – have on the culture of drug use. In the past, the film industry significantly limited drug portrayals in movies. During the early days of film history (during the 1910s and 1920s), there were several instances of film obliquely showcasing drug use. Later on, with the adoption of the Hays Code in 1930, movies were not allowed to showcase drug use in any way, unless for educational purposes. 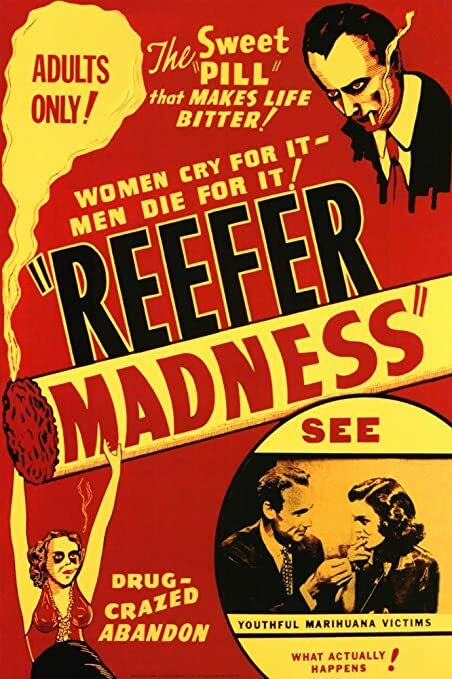 Hence, the creation of movies like “Reefer Madness” that purported to show drug use in a “realistic and enlightening” way. The unbelievable acting and unrealistic effects in the film were – even at the time – known to be entirely unrealistic. Unfortunately, this trend continued in many movies at the time, which may have done more to entertain the masses than educate them. That said, films mostly took a harsh anti-drug stance for the 40s and 50s but, with the advent of hippies and drug culture in the 60s and 70s, drug use was portrayed in more positive ways. Though not always 100 percent accurate, many of the films of the time showed drugs as a liberating – but sometimes dangerous – way to expand the mind. The unfortunately high rates of addiction and deaths at the time put the lie to that idea. And, with few exceptions (such as party movies or college films), drug use is portrayed as negative and terrible behavior. “Trainspotting” showed the harrowing lives of individuals addicted to heroin as they hallucinated during withdrawal and desperate attempts to quit. “A Requiem for a Dream” showed off addiction in a similar way and is often considered one of the best and most depressing of all anti-drug films. What is the result of Hollywood’s real attempt to combat the drug epidemic? A substantial increase in drug use across the nation, to the point where even substances like prescription opiates and opioids are leading to debilitating addictions that are destroying lives forever. Something is going wrong here, and it isn’t too hard to pinpoint the potential influence. As hinted at above, the use of substances in the national population mirrors the portrayal of drugs in films. During the 20s-50s, the general population didn’t use as many drugs as are abused right now. Part of that is the obvious fact that there are simply more drugs available now than there were then. However, access to drugs is easier now than it has ever been. For example, doctors still prescribe prescription opioids too often, which often influences people to start abusing other types of illicit opiates. However, there is another influence on the spread of drugs in both films and real life. That fact has a lot to do with the ways that movies are affected by popular culture and how that culture – likewise – is influenced by films. Let’s take the 1960s as an example here. During this time, experimentation with drugs became rampant and discussed in very positive ways. People were taking LCD and heroin to “expand their minds” and learn more about what they considered to be a new reality. Movies, therefore, started portraying drugs more positively and highlighting the things that they could do. However, more traditional filmmakers also noted the adverse effects that drugs were having on cultures, such as dependency, deaths, and much more. As a result, anti-drug films were still released and were – unfortunately – often shrill and silly. Few people took them seriously because filmmakers – no matter how hard they tried – couldn’t help but make the situation melodramatic. They didn’t truly understand the drug culture, no matter how positive their ambitions may have been. And as these films – both positive and negative – were released, it was clear that they affected popular culture. Unfortunately, that effect seemed to be mostly to inspire children and adults to experiment with drugs, rather than stay away from them. And as drug references – and anti-drug movies – continue to remain prevalent, there is a real chance that this risk could continue. But what about PSAs and commercials on drugs? Certainly, they help, right? One of the worst facts about drug addiction is that many education methods – such as anti-drug advertising and PSAs – were likely a complete failure as a way of protecting children from addiction. Anybody who grew up with these commercials in the 80s and 90s can probably quote them, verbatim, and will do so with a laugh. While well-meaning in their intent, most of these efforts were so over-the-top and unrealistic in their portrayal of drug abuse that they have become more popular as jokes or memes than they ever were as anti-drug commercials. Even worse, a study entitled “Effects of the National Youth Anti-Drug Media Campaign on Youths” found that, while these videos had a small effect in drug use, the amount of money put into them was not worth the small benefits. In fact, some studies have shown that these commercials may have had the opposite effect and instead promoted drug use. The average 8-10-year-old during the 80s likely knew nothing about methamphetamine, benzos, or heroin until a loud and terrifying commercial during Teenage Mutant Ninja Turtles taught them all about their effects – and the people who sold them. And even full-length anti-drug commercials, such as “Cartoon All-Stars to the Rescue” – which featured over a dozen favorite cartoon characters of the time – backfired. Many children at the time came away with the mistaken notion that if they were to do drugs – which is very baldly and blandly portrayed in the cartoon – they would get to meet the Muppet Babies, Winnie the Pooh, and others. This result is unacceptable, embarrassing, and frustrating. No matter how well-meaning these commercials, cartoons, and movies are in their attempt to prevent drug abuse, they appear to have the opposite effect. But studies have shown that less heavy-handed approaches could have real benefits for preventing drug abuse or at least minimizing its spread. The interesting fact is that more subtle efforts by the media to combat addiction may be more effective than a glut of anti-addiction movies. In a study called “Children, Adolescents, Substance Abuse, and the Media” done by The Council on Communications and Media, it was found that the act of removing references to addictive behaviors – such as smoking cigarettes and drinking alcohol – likely had a more positive effect on drug abuse them movies discussing their adverse effects. The idea isn’t to create an ignorance of the culture, per se, but to minimize its potential influence on culture. For example, as well-meaning as a movie like “Beautiful Boy” is with its portrayal of the harsh impact of methamphetamine addiction, it does introduce children to the concept of meth, many who may have never heard of the drug before in their lives. Therefore, proper education and a reasonable approach to addiction management might be the best ways to manage this problem. Rather than being shrill and melodramatic about drug abuse, children need to be treated with intelligence and respect. And those who suffer from addiction need proper recovery and rehab methods – like dual-diagnosis – rather than criminal records. The effects of films on drug addiction – including the use of substances like benzodiazepines – means that an addiction movie might not be the best way to combat dependency. While Hollywood will likely continue to make these types of films in the coming years, the best way to beat trauma, PTSD, and reliance on substance is through the use of high-quality rehab, detox, and the powerful healing methods of dual-diagnosis. This detox and rehabilitation method remains the industry standard for managing drug abuse. If you have never heard of dual-diagnosis and are experiencing addictive behaviors, you need to talk to an expert about this treatment and rehab method right away. The defining trait of dual-diagnosis is its concentration on managing both the physical and mental aspects of drug abuse. Instead of merely going through detox, a person also receives help from mental health professionals. Psychological help is critical for substance abuse because it so often pairs with mental health issues to create what is known as a co-occurring disorder. Co-occurring disorders refer to two or more mental health problems that work together to worsen each other. For example, trauma, anxiety, and PTSD often influence people to turn to heroin or other numbing substances to manage mental pain. Unfortunately, drug use is likely to increase – not decrease – these symptoms over an extended period. Even worse, a person who falls into this addictive cycle is expected to continue using substances in a vain attempt to manage their symptoms. It’s like getting caught in a trap – when you quit using, you go through withdrawal that triggers your anxiety which, therefore, causes you to continue using. With the use of concentrated dual-diagnosis, you will go through the difficulties of detox using withdrawal medications. During this process, counselors and psychologists will diagnose any co-occurring disorders you possess. With their help, you can better understand these concerns, know what triggers them, and find a way to minimize their impact on your life. 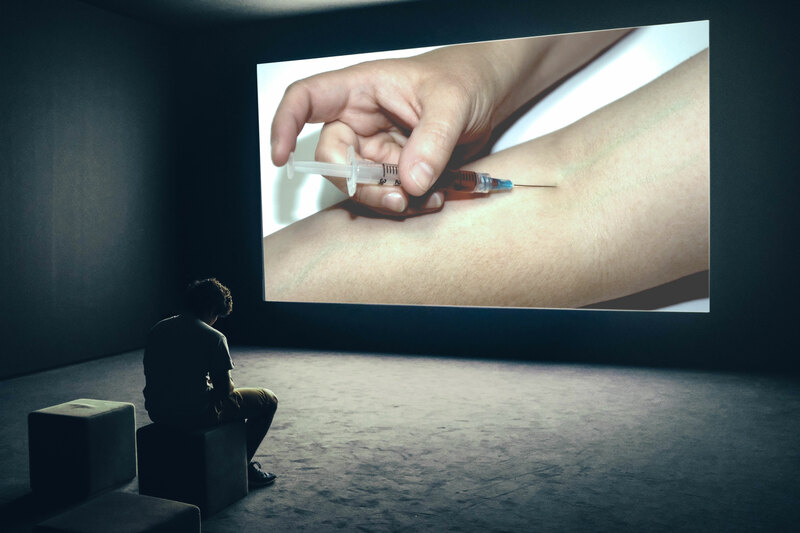 Understanding this treatment method is essential because the glut of anti-drug films put out by Hollywood – and the increasing output of drug references in cinema – is likely to continue negatively affecting dependency trends. Staying on top of these treatment methods will make it easier for you – or someone you love – to beat addiction for good. So if you or someone you know is suffering from addiction to benzos, Xanax, or prescription opiates, please don’t hesitate to reach out to us for help. We have years of experience gauging the impact of drugs on a person’s life and can help you better understand why you are addicted and what you can do to eliminate its influence on you. Our dual-diagnosis experts will spot symptoms of PTSD, anxiety, and depression and teach you how to manage them healthily. Just as importantly, we will provide physical help through this caring and curing period, including assistance with nutritional problems that may have occurred while you were experiencing your worst symptoms of addiction. Contact us now to either learn more about our treatment and rehab methods or merely to talk. Our operators are trained to understand the influence of drugs entirely and are caring and nurturing people who can help you make the tough – but correct – decision to get help. Let us guide you to a drug-free life, one that is free from the influence of addiction movie trends.